A wise mentor once told me that the key to finding your passion is to look at your rants. What do you rant about? What gets you upset, what do you want to shout from the rooftops, what do you wish everyone on the planet knew? For me, my rant is the fact that animals have a voice and we need to take the time to hear them, to respect them, and to understand their unique wisdom, because they are often our best teachers and healers. It hurts my heart to know they are mistreated, misunderstood, and they even lose their lives, through no fault of their own, but simply because their humans were so blind and deaf that they didn’t take the time to listen to them, to honor their voice, their wisdom, their purpose. For instance I was able to save my client Kendall Summerhawk thousands of dollars and a lot of time, worry and multiple trips to the vet with her valuable Andalusian stallion. Just by talking with him so he could tell us about his pain, his needs, and how homesick he was. 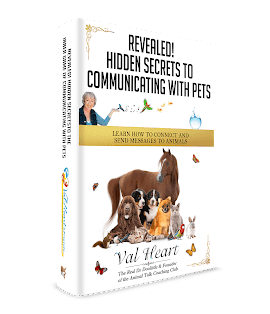 There are things you do every day that impact your animals negatively as well as positively. Just like a child needs to have a voice to say what they need, your animals need to be able to tell you what they are thinking too. If you don’t listen, they can become aggressive or dangerous and act out badly in frustration. This can lead to the animal being put down or gotten rid of, which is completely avoidable, and to me, unacceptable. My mission is to improve the lives of animals the world over by helping humans learn how to speak their language, understand their viewpoints, and heal by reconnecting with the circle of life. After all, our love of animals helps us learn how to be better humans, and the more balanced and healthy we are, the more balanced and healthy they can be too. For Lauren Michele McGarry, our remarkable podcast guest this week on The Real Dr. Doolittle Show, her passion is about honoring the blessing of horses in our lives by using yoga to improve our balance and connection. So what’s your rant? Take a minute to express and share it with us, and you may discover at least part of your life’s purpose!